The much-awaited teaser of Rajnikanth and Akshay Kumar starrer 2.0 is finally out today. The makers have announced few days back that the teaser would be released in 2D and 3D format. 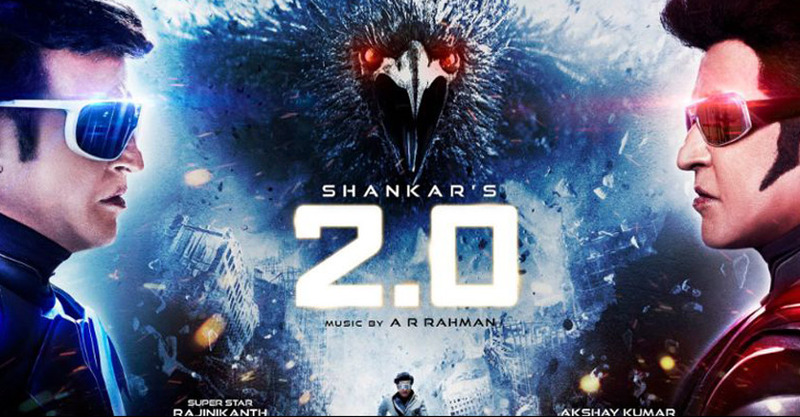 It appears from the teaser that Chitti, the robot who was dismantled in the first part, is put together again by its creator Dr. Vaseegaran to fight the evil-Dr. Rechard played by Akshay Kumar. The VFX work looks mind-blowing and Akki looks like a menacing villain. The background score by AR Rahman maintains Rajini’s swag with its tempo. The Shankar directed movie which is slated to release on November 29 this year, also stars Amy Jackson,Adil Husain and Sudhansu Pandey.